Marsala is a city in Sicily where a rather sweet wine is made. Marsala can be purchase as “dry” or “sweet”. It is used as an aperitif or a digestive and also used in cooking meat. Zabaglione is a sweet dessert made from sweet Marsala and egg yolks. Go creative and have a Marsala evening with pears Zabaglione* for dessert! 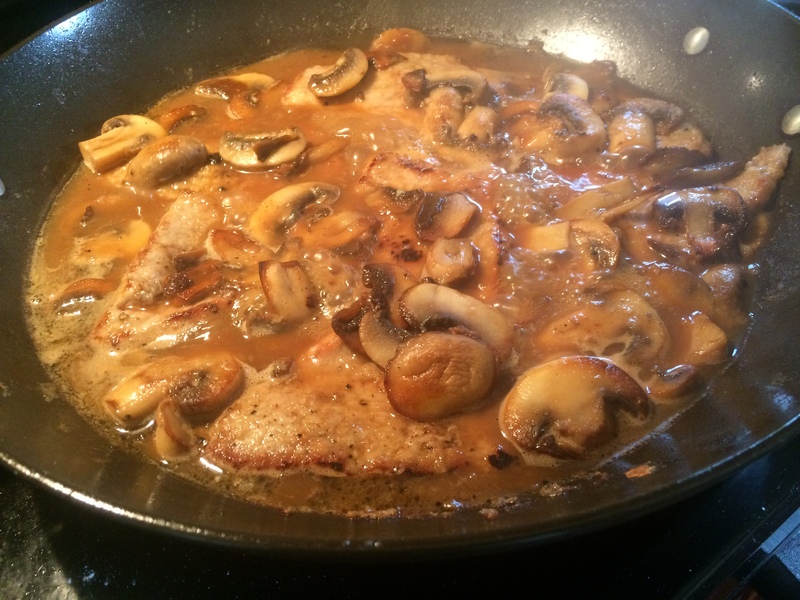 Heat butter and oil in a 12-inch heavy skillet over medium high heat, then sauté mushrooms, stirring frequently, until liquid mushrooms give off is evaporated and mushrooms begin to brown, about 10 minutes. Meanwhile, pat veal dry, pound to 1/8” thickness, then sprinkle with salt, pepper. Place flour in zip lock bag and drop in scallops. Close bag and shake. Remove the mushrooms from the pan and add ½ tablespoon of oil . Sauté the scallops until just cooked through, 1 to 1 1/2 minutes on each side (meat will still be slightly pink inside). Add the sun dried tomato mix (if using) Marsala, and beef broth to skillet. Reduce heat and simmer for 1 hour. Periodically, check to see if any liquid needs to be added. If so, simply add water. There should be enough liquid to make generous gravy for the rice or noodles. Suggested accompaniment: Egg fettuccine tossed with butter or rice.